You knew people who make enough money out of agriculture fulfilled their financial obligations with their families. Those people who did not even finished college, but they did well in securing their families’ needs from these so called certified agricultural opportunities from the crop they farm or with animals they raise. Do you want an additional income?! Or you have a dream like mine to make it as my sole source of living? Enjoy a family dinner every night. Take care of your aging mother. Or soaked and enjoy the beach every summer. But you really have to start now in order for you to get your rhythm and momentum. Grow little by little while you are still earning your peso or your dollar, your riyal or any currency which you are getting right now. There is no place like home isn’t it? So if you have an agricultural heart or looking for something you can grow your money with?! And your searching for what type of agriculture you are going to pursue? Refrigerator is a certified agricultural vault , and by opening it you would have the basic idea of what are you going to produce. Do you put rice in your ref? For me it depends if the room temp is hot then I would, to prevent it from spoiling. 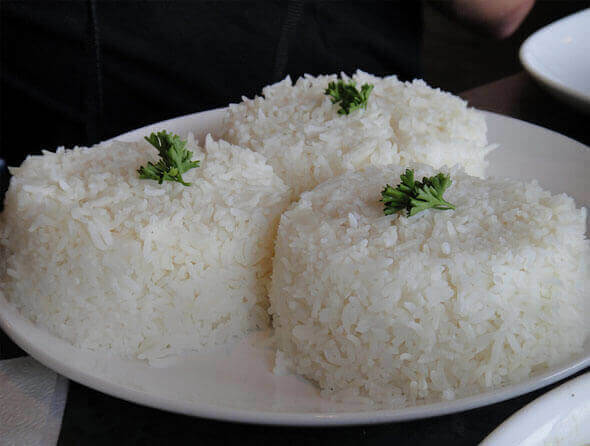 Cold rice “bahaw or kaning lamig”, minsan “kahit walang ulam basta may kanin” ayos na diba?! Talo-talo na kamatis o bagoong o toyo solve na! From unli rice, java rice, binagoongan rice, fried rice or yung “tutong!” Champion ang kanin sa lamesa. And as the population gets bigger our demand for this MVF gets bigger as well. This is alarming and the efforts of the government to make the Philippines a sustainable rice consumer will be a big fight not only for them but for the entire nation. Out of these three, irrigated rice environment is the most expensive followed by rain fed lowland then rain-fed upland. So if you are buying a rice field land, consider checking which types to they fall here. 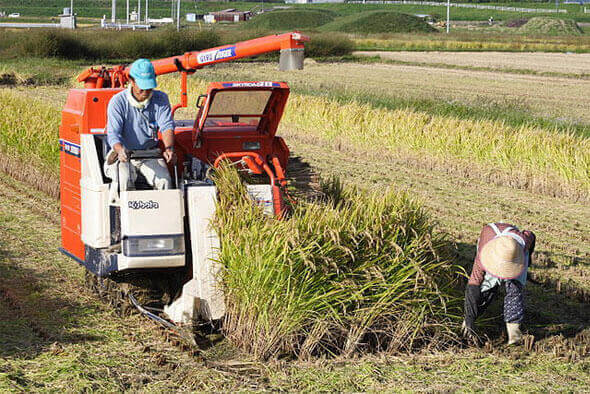 Rice farming now is transforming from different machinery and technology, available this labor intensified job becomes easier and easier. Adapting to change is necessary if we wanted to be more competitive and productive. Our own Philippine Rice institute offers a variety of our own made machinery that can help and increase your profit. if you think that the the game is already dominated think again. There are still a lot of room for OFWs, professionals like you, who are looking for Investments and rice farming is a certified agricultural opportunity. Maybe you already know it! It is so popular that even us are going to venture in this business. 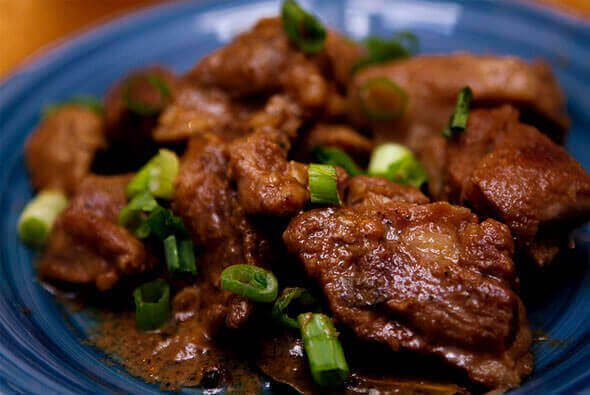 This business is one of the favorites of most of our kababayans. You have to find someone who have enough experience to raise your animals. Allow them to record everything. Conduct a marketing research on where are you going to sell the pigs once they are ready for market. Talk to your nearest public market on where they are sourcing their supplies so you have an idea how on the availability of the pigs around you. Check the availability of feed supplies in your area. Consider making your own feed as commercial feeds is more expensive.Plan and study it first. In your ref’s vegetable section you could find different varieties of veggies right? And most of them listed in the song bahay kubo. Different stories emerge to give inspiration and motivation for those who would like to get into this business. Daisy Duran “Queen of Seedling” published by Philstar who started as a fishball Vendor and gulong ng palad as we say it she rose from a Fishball Vendor to a now respected Entrepreneur. From tomatoes, to varieties of vegetable, from producing seedlings, she is now earning millions. Another beautiful story of a successful vegetable farmer “the ampalaya man” (bitter melon) from Batangas featured by East West Seed Company written by Zac Sarian. “ka Sano” who is also earning millions through his veggies. 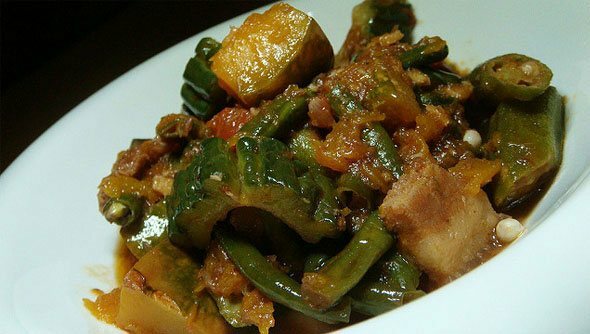 So ampalaya is not after all mapait (bitter) because now Ka Sano is tasting the sweetnes of succes from the bitterness of his ampalaya! Our soil is so rich with nutrients that we could plant almost anything even at the comfort of our own backyard but this certified agricultural opportunity is surefire to almost any place in the Philippines. You could buy or you could just rent a land where you could plant and hire somebody who would do the work for you and come up with compensation plan that both of you would benefit. Your vegetables are not just for you to eat but also consumed through the form of juicing and drinking it right away goes directly and boost your energy. With health benefits of juicing and the popularity gained by it, vegetable farmers are also benefiting from it. Carrots with celery with turmeric and a slice of apple is my mother’s recipe for a good fresh juice 100% healthy and tasty. This famous question have been brought up and debated all over the world. Sino ang nauna itlog o manok?? 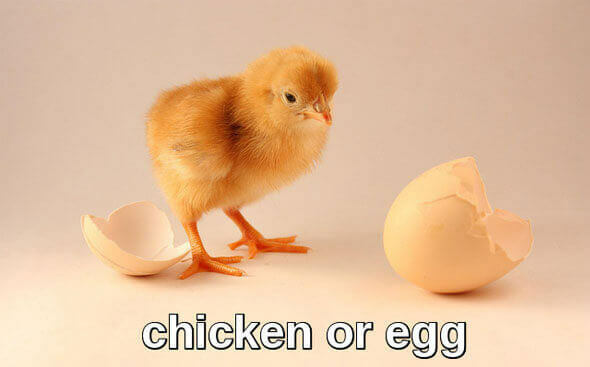 The chicken comes from the egg and without the chicken it cannot produce egg. I will leave this one to you! But lets start on the egg. From bread, pastillas, to leche flan this breaksfast favorite offers not only good source of protein but pocket friendly as well due to its cheap price. Now lets go to the one CHIX! Leghorn is the best egg laying chicken producing over 300 eggs a year. If you have a big business capital you could tapped into this business check out sanmiguelpurefoods.com for their broiler contract growing operation. Or you could start growing your own chicken and increase your population at on your own pace. Close your Refrigerator and start! Business is a challenge and it is never designed for the weak, and “risks” are always there to make you stronger it’s like an auditor your teacher that will fail you if you did not do your part. Agriculture is an unending need because people needs to eat and the population growth is now so big producers have to double their produce just to meet the demand and it will continue to rise. So do not wait for your retirement, you could start now and learn along the way or consider agriculture as an interesting opportunity that you could invest and put your money. Find a land that you can use,or you can lease for the moment if you do not have yet the money. You could start by reading and joining forums on the people who like you want earn money in agriculture. The threat of food security is a big issue and it’s a win win situation,because not only we could help serve food to the table but at same time earn a living out of it! Like a seed so tiny, when you put it in the right soil and with the proper nurturing and weather it deserves. You will soon see it rise up little by little day by day! It would grow big! This certified agricultural opportunities are just there screaming in your refrigerator open it, and like a seed if you have a tiny desire to stay with your family be your own boss or add an extra income that would give you the life you wanted! Put it in the right investment, nurture it with your motivation, educate yourself and little by little day by day you would reach your GOAL!